Sometimes, a title such as Civilization VI: Rise and Fall says it all. 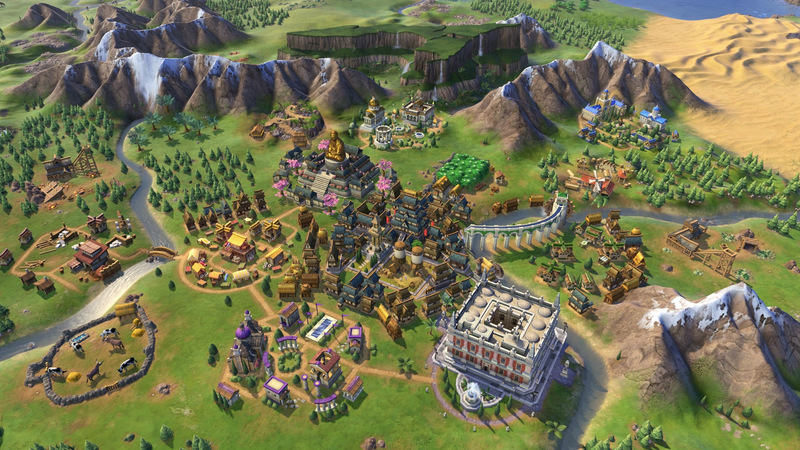 In Civilization VI, Firaxis “unstacked” the cities with specialized districts, while taking a paint brush to mechanics new and old. Research is now more of an active pursuit, culture remolded for civics and governance, and religion resurrected for all-new conquests of faith. Even the AI world leaders now have agendas of their own, adding a little spice to diplomacy. These changes and more were all made to break player habits, to make the game feel more dynamic and reactive to ongoing events. Rise and Fall staunchly follows that idea, fleshing out what has always been fact for human history: the, well, rise and fall of civilizations. For every golden age there lies the prospect of a dark age, where fear and uncertainty cripple the populace. Suddenly, the grass looks much greener on the other side. 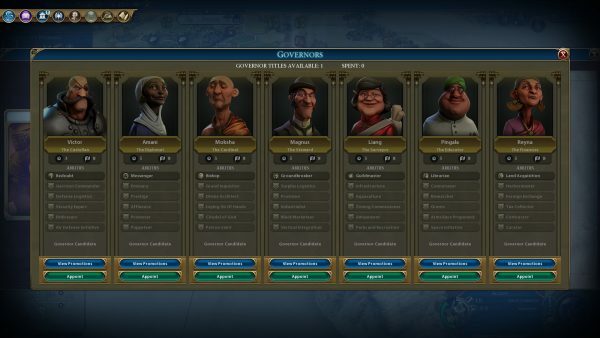 That Civ a few tiles over with a World Wonder and other achievements? 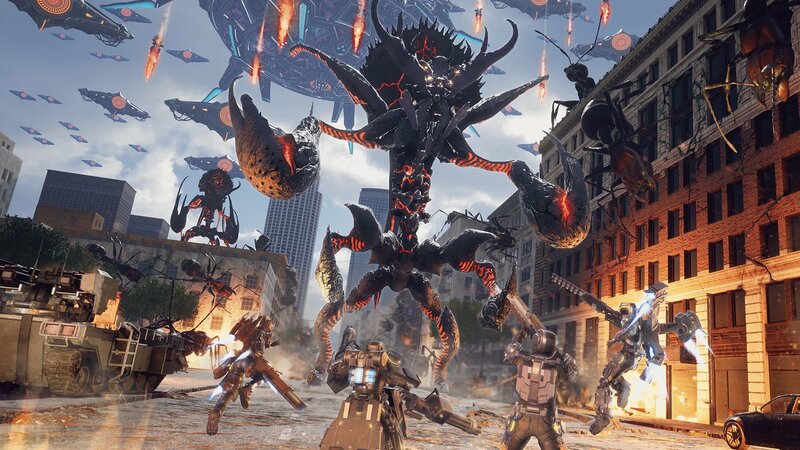 Your city may just join them. Or maybe the residents rather stay, ousting you from their borders. I’ve been playing around with a 150-turn preview build by publisher 2k, and while I didn’t get to try all that’s new, I very much liked what I saw. It all comes down to Era Scores and Loyalty, two of the most prominent additions to Rise and Fall. Fans will recognize the concepts at play, lifted and refined from past entries. Instead of simply accumulating Happiness as in Civilization V, the arrival of a Golden, Dark, Heroic, or business-as-usual Age hinges on your actions in the past Era. Were you clearing barbarian encampments, discovering natural wonders, and generally being a pioneering force on the world stage? Or were you faffing about in your starting zone, content to sit and wait? The series has always rewarded advancement, but rather than hiding behind scores and graphs, progress is now a measurable and clearly defined goal, reflected as a meter on the iconic end turn button. You’ll be scrambling to hit those Era Score targets, either to avoid a Dark Age or to strive for those Golden good times. They help spur players to action when “nothing” is going on, reminding all that, in the end, Civilization is a competitive race. In turn, Eras are now meaningful and sensible checkpoints — all Civs enter the new Era as soon as one unlocks it. Replacing the simple pop-up is an attractive timeline documenting all your historic moments. More significant is the menu that comes after, presenting a set of options known as Dedications. 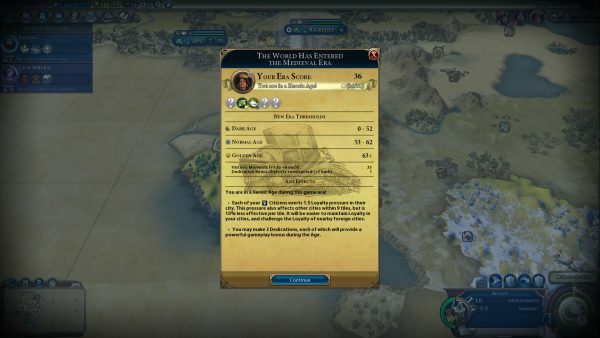 These provide Era Score bonuses should you complete them, coming in an assortment of flavors to fit your Civ’s playstyle. Coincidentally, this makes it a great place to save, quit, and return another day, compared to leaving the game at some arbitrary point you’d risk forgetting. That said, the new Ages aren’t binary good and bad states. The Dark Age comes with unique and powerful Dedications that, in the right hands, can catapult that Civ into a Heroic Age in the next. Making that level of comeback is a requisite for the latter, which confers not one but three Dedication slots, making it easy to settle into a Golden Age afterwards. It adds this element of risk-and-reward to your long-term planning, though I can’t say to what extent since the preview is limited to 150 turns. It was enough to eke out three Eras on default settings, and I did find myself formulating strategies around these events. The effect of these Ages was a little harder to notice. This is where Loyalty enters the picture, which brings up memories of Civilization IV, cultural pressure, and city flipping. In short, if your populace exerts enough pressure on an opponent’s city, they may choose to come over. Rise and Fall swaps Culture for Loyalty, which receives higher or lower modifiers depending on the Age you’re in. It’s a new weapon in our non-lethal arsenal, and I can already see some powerful synergy with Religion. Unfortunately, I couldn’t see this peaceful takeover in action. I suspect that, as in Civ IV, these will become a bigger deal in the mid- to late-game. However, since the mechanic isn’t tied to a resource such as Culture, it should make for a less predictable experience. Remember: breaking patterns and being reactive is what Civilization VI is all about. There’s another danger to Loyalty. If a city fails to produce enough, and it isn’t being influenced by a rival Civ, then it may turn independent. Again, I haven’t seen this in action, and have some doubts about it ever triggering on regular sized maps — there’s just too much contested land, unless you go out of your way to settle in the middle of nowhere. Thankfully, you do have some preventive measures in the form of Governors. These are a new set of recruitable characters, just like Great People but non-expendable. We’ve seen the term before but merely as city AI presets, something to set and forget. In Rise and Fall, they’re far more active and engaging. You stick them in a city of your choosing, which grants a loyalty bonus on top of perks unique to their field. 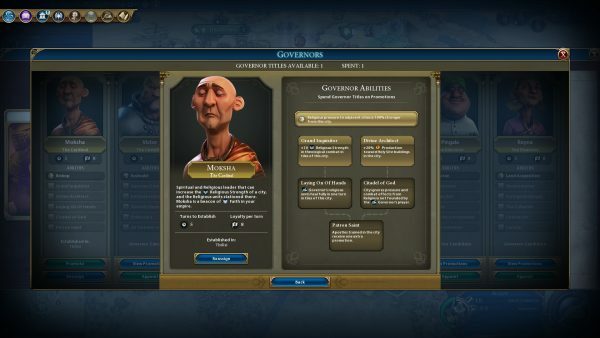 As your empire grows these Governors may be freely shifted as necessary, since it’d be pointless to have military boosts in the capital when your border’s facing an invasion. What makes them engaging are their skill trees. With enough points, you can either purchase a different Governor or improve one you already own. These are powerful bonuses too, which can then work hand-in-hand with districts to turn specialized cities into powerhouses. To recap my screenshot-taking session, I played as the new Tamar of Georgia, fully intending to capitalize on her religious strength. As a slow starter with little to no military assets, I welcomed the first Era by plunging into a Dark Age. I managed to earn China’s ire by building an Oracle, but the Wonder wasn’t enough to sustain things. Luckily, by this point I had Moksha the Cardinal working on a Faith-building frenzy in my cities, providing a 20-percent production boost to Holy Site buildings. Thanks to some Scout legwork, shameless barbarian kill-stealing, and some research planning, I collected enough Era Score to earn a Heroic Age. I had already established the divine word of “Float” and built a sizeable pool of Faith to expend, maintained by the Faith batteries I had Moksha work towards. Together with Religious perks, Governor abilities, and civic policies, I embarked on an early-game crusade that China had no hope of stopping. To their credit, they did squeeze out a Guru, who promptly fell to my troop of Apostles at their capital’s door. You may remember I had a negligible military force, which normally would be problematic with Cleopatra. In fact, she had quite a few chariots that were making me nervous. My usual emergency response of blowing Faith on military units wasn’t exactly ready, but Georgia was soon blessed with Apostles gifted in the ways of Heathen Conversion – an ability to instantly take over barbarian units. It’s not a new skill but, considering how things were going, helped shape the whole roleplaying aspect of rising, religious power. Sadly, the preview forcibly ended things there. 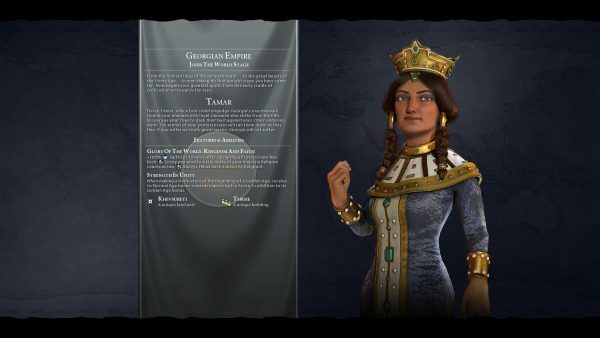 Like most Firaxis-made expansions, Civilization VI: Rise and Fall is a hefty piece of work, bringing huge updates and revisions that drastically shake up establishes systems. We’ve barely seen it all in this preview, such as the new Alliances and Emergencies for dicier diplomacy, or what the long-term implications of these changes are. Regardless, what we have seen has already proven to be tremendous fun. I’m already rearing to see what happens next in my Georgian campaign, or to trying out the many other combinations and scenarios I can think of right this instant. The good news is that the wait won’t be for much longer. The expansion releases this Friday, 9 February (Steam), in time for the weekends. 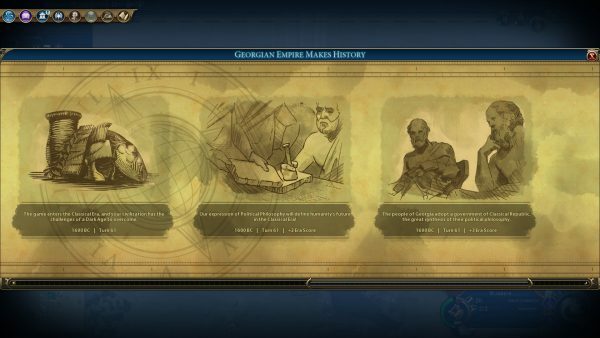 You’ll need the base game, Civilization VI, to play it.